MOONSHINE LINDA’S owners hope her connection to a pair of former top fillies can continue next season. By successfully defending her Vicbred Super Series title at Tabcorp Park Melton tonight, Moonshine Linda became just the third filly to secure the two and three-year-old tiaras. Spidergirl was the ground breaker in 2012 and ’13, followed by Claudys Princess in 2013 and ’14. In a rare occurrence for both gaits and sexes, Spidergirl and Claudys Princess continued their Vicbred dominance by completing clean sweeps of their respective age groups by capturing the four-year-old deciders in 2014 and 2015. “It would be nice if that was the case with her too,” co-owner Neville Pangrazio said. “A lot of things can happen between now and next July, but all things being even, she will be aimed at this series again next year. Trained and driven by Gavin Lang, Moonshine Linda overcame a wide draw to score from Pretty Majestic and Moonlight Dream in 2:01 over 2240 metres. 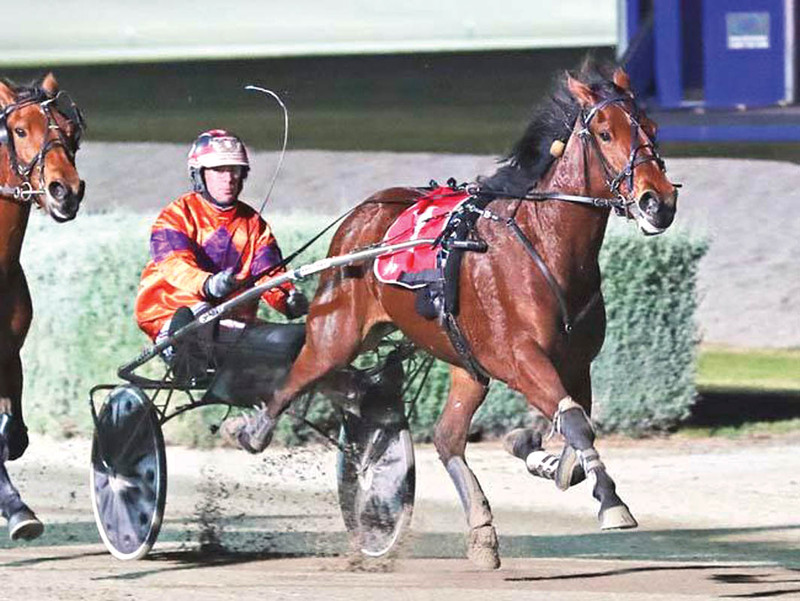 Winner of the New South Wales Trotters’ Oaks last May, the daughter of Majestic Son stretched her record to seven wins and three placings from 15 starts for earnings of $133,250. With numerous options available for the squaregaiter during the next seven weeks, Moonshine Linda will be given an easy few days while a plan it outlaid.